Product prices and availability are accurate as of 2019-03-31 05:18:23 EDT and are subject to change. Any price and availability information displayed on http://www.amazon.com/ at the time of purchase will apply to the purchase of this product. 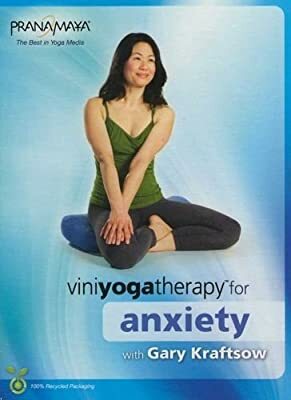 For beginners through avdanced, this yoga practice encourages relaxation and the ease of anxiety Released 2011 Running time: 170 Minutes This new DVD is packaged in an eco-friendly cardboard case. To further enhance the eco-friendly packaging, no plastic shrink wrap is used; instead, the case is sealed with a simple and environmentally-friendly sticker.